In a new report by its ConsumerLab research team, Ericsson (NASDAQ: ERIC) looks at the aspects of satisfaction in city life based on environment and social networking. 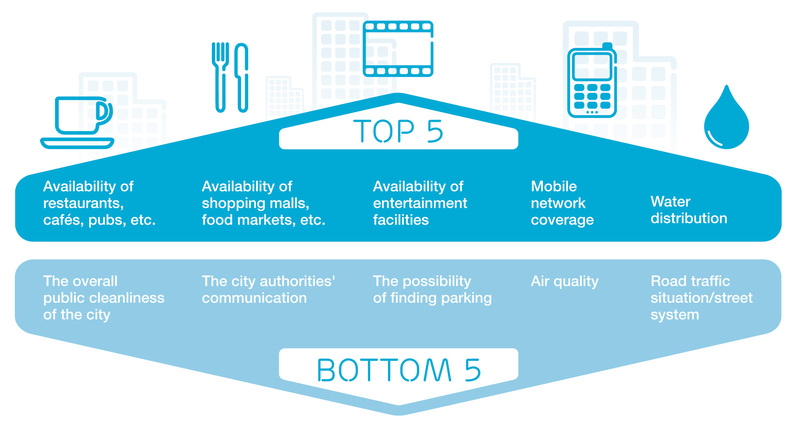 Among the findings are that people in megacities give mobile network coverage the fourth-highest satisfaction rating alongside water distribution and the availability of social spaces, ranging from cafés to entertainment facilities. On the other hand, poor air quality and lack of parking can impact dissatisfaction. "Urbanization is a global mega-trend. City populations grow by 7500 people per hour, and people are clearly feeling some stress from overcrowding. But we also see how people in cities use ICT as a means to alleviate such feelings and to better experience city life," said Michael Björn, Head of Research at Ericsson ConsumerLab. Highlights for living in a city are the accessibility to restaurants, cafés, entertainment facilities, and markets. People in cities are more socially active, and their social circles spread wider than people not living in cities. Low-lights have to do with crowds and traffic. The survey found that the average commute time in the 13 cities was two hours, twenty minutes per day. Björn said: "People are more relaxed when they know how long their commute will take, as this enables them to use their time more efficiently. Smartphones are becoming an invaluable tool on the daily commute." "Knowing the ways in which people choose to commute helps us to determine what services they find the most beneficial. For example, people who commute by bike would benefit from knowing where they can use cycle lanes. Those who use public transport would benefit from real-time updated timetables and travel planners. Or, for those who drive, a GPS travel planner with access to real-time traffic data would save considerable time and stress," he concluded. 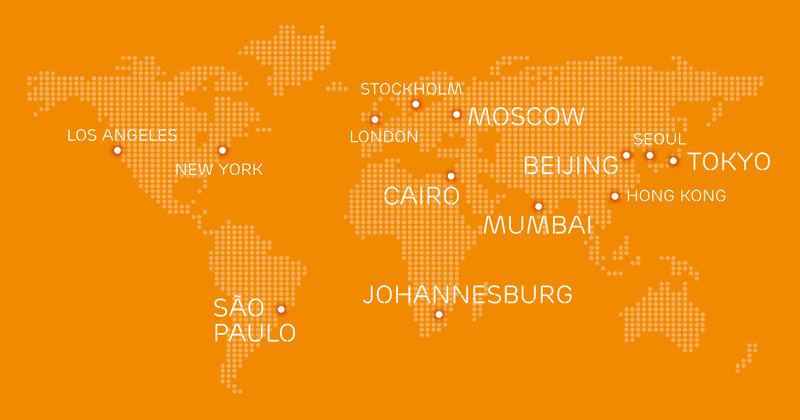 The report was launched as part of Ericsson's presence at the New Cities Summit in Paris. #newcitiessummit. Ericsson ConsumerLab is a knowledge-based organization that collects and supplies consumer insights to influence and improve strategy, marketing and product management within the Ericsson Group. Ericsson ConsumerLab has more than 15 years' experience in consumer values and behavioral research, including the way consumers think and act about ICT products and services. This insight helps operators to develop attractive revenue-boosting services. Knowledge is gathered through a global research program which interviews 100,000 individuals in more than 40 countries and 10 megacities annually - statistically representing the views of 1.1 billion people. This is based on both quantitative and qualitative research, and hundreds of hours of in-depth interviews and focus groups with consumers from different cultures. This research includes general market and consumer trends, as well as in-depth insights into specific areas. To be close to the market and consumers, Ericsson ConsumerLab has team members working in almost all of Ericsson's market regions. Being part of the Ericsson Group gives the organization a more thorough understanding of the ICT market and business models. This broad knowledge is what forms the basis of Ericsson's credibility and integrity. Ericsson ConsumerLab is able to share the big picture, with an understanding of where the individual fits in and what this means for future trends and services.